This guide covers the clockwise variation of the Three Passes Trek circuit by providing a detailed itinerary, route maps as well as answering questions on cost, packing, best times to trek and more. The Three Passes Trek to Everest Base Camp is arguably the most complete trek in Nepal as it covers most of the Everest region on its circular route. The trek is more challenging than the classic Everest Base Camp Trek and its other variations as it involves traversing the three high passes that lend the trek its name – Renjo La, Cho La and Kongma La – each over 5,000m. The trek begins in the popular starting point of Lukla before heading north along the classic trek to Namche Bazaar. Here, the route veers west as it splits from the main trek and heads up the Dudh Koshi valley, where you will encounter the first of the Three Passes – Renjo La (5,370m). After reaching the high point, the trail descends to the idyllic Gokyo Lakes and further on to the village of Gokyo. The route then turns east as you make your way to Everest Base Camp by crossing the second pass called Cho La Pass (5,420m). 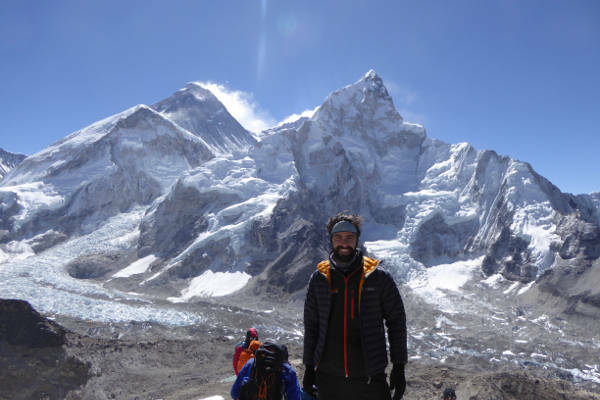 After the second pass you will have the opportunity to explore the intricacies of Everest Base Camp life as well as soaking up some of the best views of Everest and the surrounding peaks when you climb the iconic viewpoint of Kala Patthar. The inwards leg of the trek involves traversing the final of the Three Passes – Kongma La Pass (5,545m) – to join up with the classic Everest Base Camp Trek route that will take you down to Lukla, where the trek ends. We do not sell tours, we simply provide impartial advice. If you would like an exact quote from our recommended tour operator click Get a Quote. How much does the Three Passes Trek Cost? When is the best time to the Three Passes? Will I get altitude sickness? What gear should I pack for the Three Passes Trek? What insurance do I need? 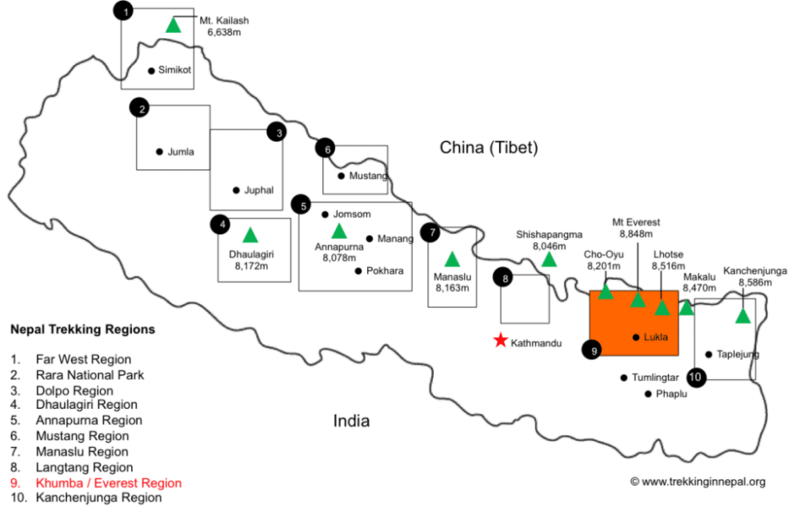 The Three Passes Trek is situated in the Everest or Khumbu region of Nepal as indicated by the orange block on the map below. Your journey will begin with a flight into the international airport in Kathmandu, the capital city, followed by a domestic flight to Lukla where the actual trekking begins. Instead of flying to Lukla – an experience itself – you can trek the Jiri to Everest Base Camp variation. This involves taking a bus from Kathmandu to Jiri where you trek through the Solu Khumbu Valley up to Lukla before re-joining the main trek. This variation can be used for any trek that starts in Lukla, but will add at least 6 days onto the trek. This simplified map below shows the Three Passes Circuit and the major towns and villages it goes through. 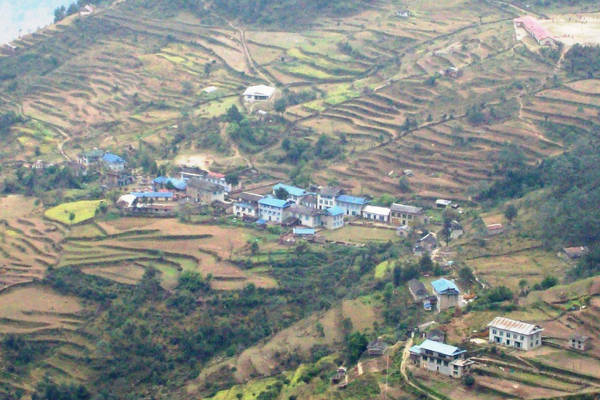 Both the clockwise and anticlockwise variations of the trek start with the 2-day trek to Namche Bazaar where you will spend a day exploring to acclimatise to the high altitude. The clockwise variation, detailed in this guide, follows the route north-west through the Dudh Koshi valley and the village of Thame before reaching the first pass – Renjo La. You will pass through Gokyo as you move east towards the second pass of Cho La, which takes you to the town of Lobuche. From Lobuche you will trek north to Gorak Shep – your base while you visit Everest Base Camp and Kala Patthar viewpoint. The trek back to Lukla crosses the third and final pass of Kongma La, reaching Chhukung before joining up with the classic route back to Lukla. The last few days of the trek involve the relatively easy descent back to Lukla where your flight will be waiting to take you back to Kathmandu. The Three Passes Trek is quite challenging as it involves traversing very high passes over 19 days of trekking. 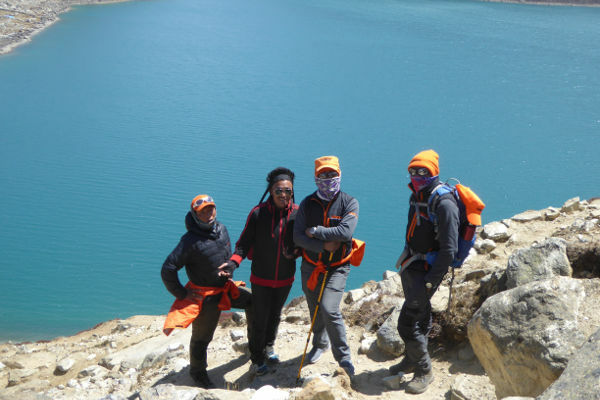 For this reason, we do not recommend trekking solo or without a guide who will have extensive knowledge and experience of trekking in the region. A good guide book with a map, however, can be very useful when wanting to learn more about the area or when searching activities to do on your rest or acclimatization days. 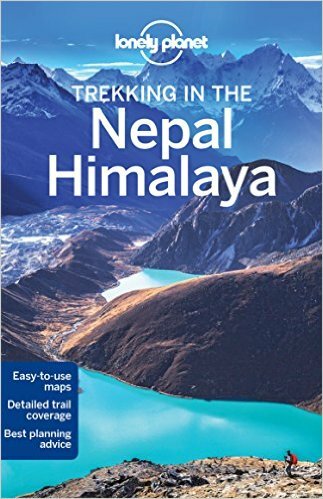 The Lonely Planet Trekking in Nepal Himalaya guide is a regularly updated and informative guide that will include maps and sightseeing opportunities for a variety of treks in the region. In terms of a map we recommend Nepa Maps – Three Passes and Everest Region map. As with all treks, your journey to trek the Three Passes will start with an international flight into Kathmandu. A short flight to Lukla will precede the start of the trek that takes you through the Dudh Koshi valley before looping around through Gokyo and heading to Everest Base Camp. The inwards leg will take you east over your final pass and back to Lukla. Most tour operators will list the Three Passes Trek as an 18/19-day trek. Of these days, usually 15 will be spent trekking with a further 1 or 2 acclimatization days, meaning 14 days of actual trekking can be expected. Arrive in the capital of Kathmandu after what is sure to be a long flight from home. Make your way to the hotel where you can relax for a bit before setting out to explore some of the vibrant city. An early morning flight will take you to Lukla, the starting point of the trek. Despite being only 35 minutes, the flight is a memorable one! Try to sit on the right-hand side of the plane for the best views of Everest as you approach Lukla. The trek starts with fairly short descent to Phadking, where you will pass stone walls decorated with prayer inscriptions – called Mani in the local language. You will spend the night in Phadking. The trek to Namche Bazaar will see you enter the Sagarmatha National Park, a UNESCO World Heritage Site. The village of Namche Bazaar is the central trading post of the region and is always bustling with life. Day 4 is an acclimatisation day spent in Namche Bazaar. Explore the village, stock up on some much-needed snacks for the trek ahead and be sure to check out the bakery – one of the best! The market on a Saturday is also a major attraction. The trail now splits from the popular base camp route and heads north-west through the small Sherpa village of Thamo before reaching Thame, where you will be staying the night. Take some time to learn a bit about the local traditions and their intrinsic connection with the mountain on which you are standing. 4-5 hours of trekking will see you cross the Bhote Koshi river before heading up the valley to Lumde. As you start to gain altitude you should get some great views of the snow-capped peaks in the region. Today you will encounter your first of the Three Passes – Renjo La. The route starts off easy but will soon turn into a hard day of hiking as you near the end of the ascent of Renjo La. Try to think of the magnificent views you will get at the top to motivate you! After the pass, you will descend to the third of the Gokyo Lakes and then trek onto the village of Gokyo for the night. After some rest you can even climb up the ridge to get some amazing views of the lakes, the highest freshwater lake system in the world. Today you climb your first peak Gokyo Ri for fabulous views of Cho Oyu. You will do this climb early and then have the rest of the day to rest. Cross the Ngozumpa Glacier – the largest glacier in Nepal – over the course of an easy day’s trekking. Once again, keep your camera close as you trek through this beautiful part of Nepal! You will reach Thaknak where you will go on a small acclimatization hike before lodging for the night. Often considered the hardest day of the trek, today involves traversing the second pass of Cho La. At over 5,300m, reaching the top will require some effort. You will spot the famous prayer flags as you near the top of the pass, after which you descend over the other side of the pass to reach Zungla. Start the day with an easy downhill portion to reach Lobuche, one of the major stops on the classic Everest Base Camp Trek. Join up with the crowds of trekkers as you make your way to Gorak Shep. You will be afforded great views of the famous Khumbu Glacier as well as the peaks of Everest, Lhotse and Nuptse. Spend the night in the busy Gorak Shep. 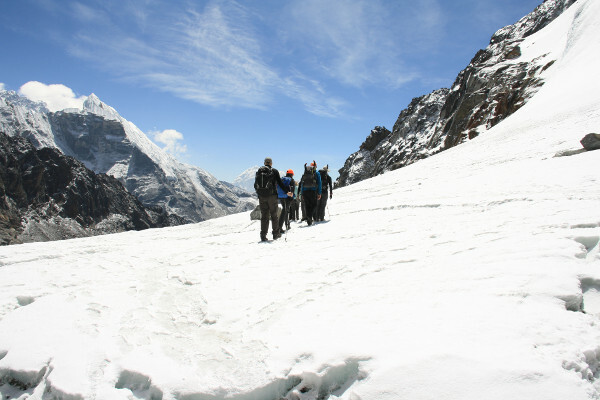 A short trek following the ridge of the Khumbu Glacier will take you to the Everest Base Camp. Make the most of your time here, as trekking groups are not typically allowed to stay overnight at the base camp. Feel the buzz and excitement of the place, packed with potential future summiteers of Everest! Descend later that day down the same ridge back to Gorak Shep for some much-earned rest and sleep. An early morning start is needed to summit the trekking peak of Kala Patthar – the iconic viewpoint of Everest. After snapping some pics, head back to Gorak Shep for a quick meal before descending further to Lobuche for the night. You leave the classic base camp route today as you head east through the Khumbu Glacier to reach the third and final pass of the trip – Kongma La Pass. At 4,700m the pass is the highest of the three and lacks any shops or tea houses along the way. After a tiring ascent to the top, descend into the Chukkung Valley and eventually to the village of Chukkung where you will stay in the lodge overnight. A downhill trekking day will take you through the verdant fields and rhododendron covered hillside on your way to Namche Bazaar. Pass through the village of Khumjung where you can eat lunch before completing the descent to Namche Bazaar where you will stay overnight. You continue through Namche Bazaar, descend Namche Hill and cross the Dudh Koshi. You are now sauntering back along familiar paths to Phakding. Overnight lodge. The last day of trekking will take you through some lovely pine scented forests before reaching Lukla where a cold drink and a hot meal await you! Weather permitting, catch the morning flight back to Kathmandu to end off what is sure to be the trip of a lifetime. After your last night in Nepal, make your way to the airport to hop onto your flight back home, where you can tell all your friends and family about the time you had! 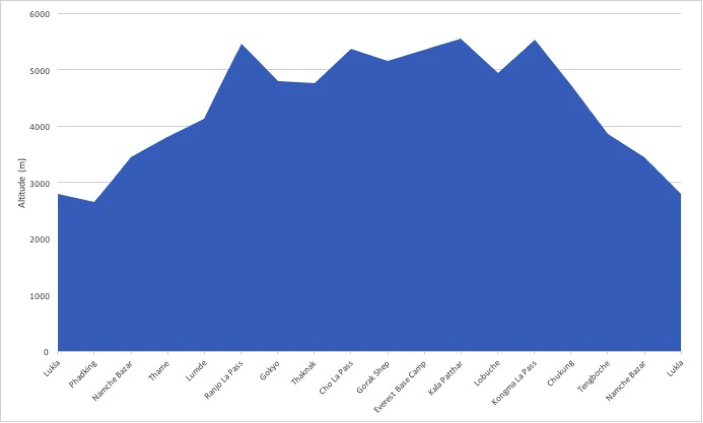 The altitude chart below shows the typical progression of the Three Passes Hike through the major stopping points along the way. The three spikes of the passes are clearly visible along with the spike of Kala Patthar – the iconic viewpoint. The ascent profile of this trek is slightly harder than the classic Everest Base Camp trek because it involves rapid ascents of the passes. Tour operators will charge in the region of £1,200 to £2,500 for a guided Three Passes Trek. We definitely recommend using a tour operator for a trek of this difficulty and length – preferably a western tour operator whose guides and equipment will be of a higher standard. The cost will include all board and lodging for the 18 days, all domestic travel and domestic flights, meals, shared equipment and knowledgeable guides. For a detailed breakdown of costs on the classic Everest Base Camp Trek, read our article here. When is the best time to trek the Three Passes? As with all treks in the Everest region, it is advisable to avoid the winter months as well as the peak summer months during the monsoon season. The shoulder months of February-May and September-October provide the most stable and dry weather conditions for trekking. Our detailed article on the best time to trek in the Everest region will give a much more in-depth analysis of the conditions faced in different months. The Three Passes Trek is considerably harder than the classic Everest Base Camp Trek so we recommend you have a good fitness level before embarking. Ascending the high passes involves long days of strenuous trekking that would not be encountered on the classic base camp trek and other variations. 6/7 hours of trekking per day is to be expected and altitudes of up to 5,500m are reached on the trek. That being said, the trek is still very popular among people wanting a bit more of a challenge. Read our training article to get an idea of how much you should prepare for a trek in Nepal. Despite crossing some very high passes, the trek has been designed to follow the principle of trek high, sleep low. That means that you will not be spending extended periods of time at altitudes above 5,000m. The itinerary also has acclimatisation days as well as nights spent at lower altitudes to help the acclimatisation progress. If you follow the guide you should not have a problem. That being said, altitude sickness can affect anyone regardless of age or level of fitness so we recommend doing some preparation reading. Our detailed article on altitude sickness and acclimatisation is a good starting point. The packing list for a trek of this length can look quite long! For this reason, we have dedicated an article to help you tackle the challenge that is packing. In our Everest Base Camp Trek packing list we provide list of clothing and equipment that you should bring, as well as some brands that we recommend based on our experience of using them. The short answer is yes. Trekking in Nepal at high altitudes comes along with various risks that are not covered by typical travel insurance. We recommend taking out insurance that covers trekking to altitudes up to 6,000m as well as medical evacuation from the mountain. We have a detailed article to help to find the best policy that will suit your needs. Alternatively, use the quote calculator below from our recommended partner, World Nomads. They offer insurance that covers guided hikes up to 6000m and include a premium for Helicopter Evacuation in Nepal. One of the more popular variations of the Everest Base Camp Trek, the Gokyo Lakes Trek, also starts at Lukla and follows the classic base camp trek to Namche Bazar where it forks north-west. The trek proceeds through the towns of Dole and Machhermo before reaching the stunning Gokyo Lakes. From there you ascend to the peak of Gokyo Ri in the north, before traversing Cho La Pass and re-joining the classic trek at Lobuche. The detour adds 2/3 days onto the trek but provides the wonderful opportunity to summit a peak while also avoiding some of the busier parts of the trek. This variation of the classic trek offers an alternative to flying into to Lukla from Kathmandu to start the trek. 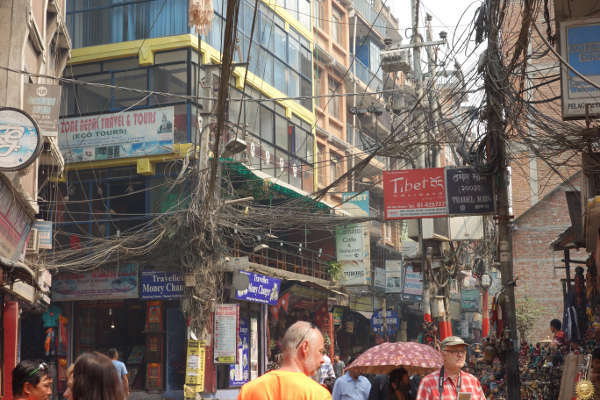 The Jiri variation starts with an 8-hour bus ride from Kathmandu to Jiri, where the trek begins. The variation adds an extra 5/6 days onto the trip as you trek through the Solu-Khumbu region and make your way past Lukla, where the trek then follows the same route as the classic Everest Base Camp Trek. It involves a scenic, yet very long, bus ride as well as a lot more exposure to the Tibetan and Sherpa cultures. Expect to trek through more forests and streams as you start at the relatively low altitude of 1,800m and work your way up to Lukla and beyond. The variation trek that involves summiting Island Peak is significantly harder than the classic Everest Base Camp Trek. 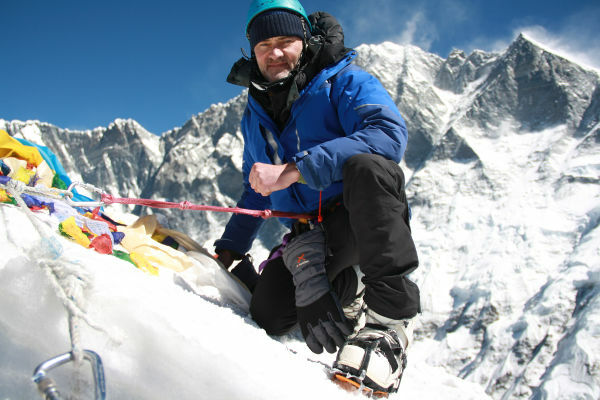 The climb to the peak is somewhat technical although and requires basic knowledge of using crampons and ice axes. Standing at just under 6,200m, however, altitude can be the real challenge. Most climbers of Island Peak use the traditional base camp trek as a means of acclimatising before heading to the Island Peak Base Camp via Dingboche on the main trail, or by traversing the Chongma La pass. Summiting from the base camp typically takes two days and the whole variation will add around 4 days onto the classic trek. Hi, I'm Mark! Welcome to EBC Trek Guide - the Web's No.1 Trekking Guide to Everest Base Camp. I have trekked all over Nepal, but the Everest region remains my favourite. I hope you find all the answers you are looking for on this site. If you have any questions don't hesitate to drop a comment below! Happy Trekking! Thank you. How slippery or rocky is the terrain on cho la pass? I don’t feel comfortable boulder hopping or walking on slippery terrain. You can train for uphill or distances but being able to balance on icy or scree surfaces is something else. We are looking at going in october . Any comments would be most welcome. Hi Brigitte, the Cho La Pass consists of mix terrain that can vary quite considerably depending on prevailing weather conditions during the week you go. In general through you can expect mixed rock / scree terrain with areas that can be a little slippery with black / blue ice. Careful footing throughout is important. Show cover is quite likely too so it is worth taking basic yak tracks just in case you need additional grip. Hope this helps! Hi Francisco, the three passes trek does follow a well defined route but it is not very well signposted. I would recommended taking a guide and / or getting a detailed map of the region. Accommodation throughout the route is not a problem, there are many small villages on the route and all have teahouse accommodation for trekkers. All the best! Hi Frank, there are lots of teahouses along the Three Passes trek. In terms of lunch you can usually find a teahouse to stop at half way through your daily trek, or take a snack with you and only stop for dinner. Thanks for the reply Mark! Thanks for the useful information. Is this trek possible late December-early January? I did ACC last year late Dec-early Jan (including Tilicho), and it was wonderful, although desperately cold at higher altitudes. I assume this trek is colder as I would spend more time at higher elevation. I also appreciated that although less crowded that time of the year, there was good company in the higher teahouses and passes. Although I have no problem trekking alone, I would not feel completely comfortable spending days around 5000m completely alone. So my question would be, is this trek less crowded generally and colder than Annapurna Circuit? Hi Daniel, I would say this trek will be colder than the Annapurna Circuit in Dec/Jan as you spend a lot more time at high altitude. The passes are also prone to closing in the winter if the weather is bad and there has been a lot of snow fall. I would definitely recommend taking a guide if you plan to trek the three passes. I am planning for three pass trek in the first week of may. I have plan to walk 9 hours per day. Plz let me know. Hi Gopal, it’s possible to complete the 3 passes trek in 15 days, but the risk of altitude sickness (unless you are pre-acclimatised) is pretty high. Adding in Island Peak in addition would be a big ask, but doable if you are super fit and deal with the altitude well on the passes trek. EBCTrekGuide.com is the web’s most authoritative information portal on trekking to Everest Base Camp. 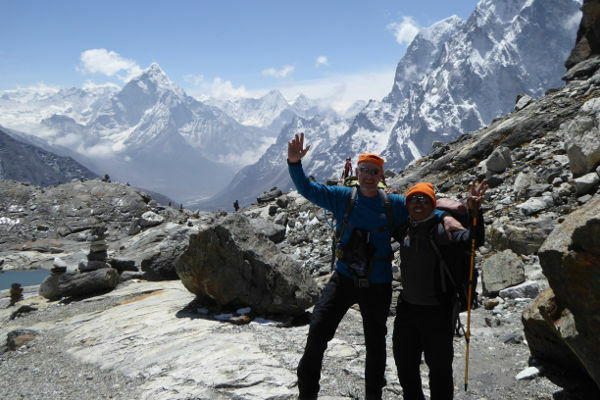 We aim to provide up-to-date and comprehensive information on trekking in the Khumbu region and specifically to Everest Base Camp, so that your experience is as fulfilling and safe as possible.